We are proud to be working and engaging with our Indigenous neighbours. The IISD-ELA field station is located in Treaty 3 traditional territory, and we wish to pay respect to the Anishinaabe Nation and the rights holders of Treaty 3 land. 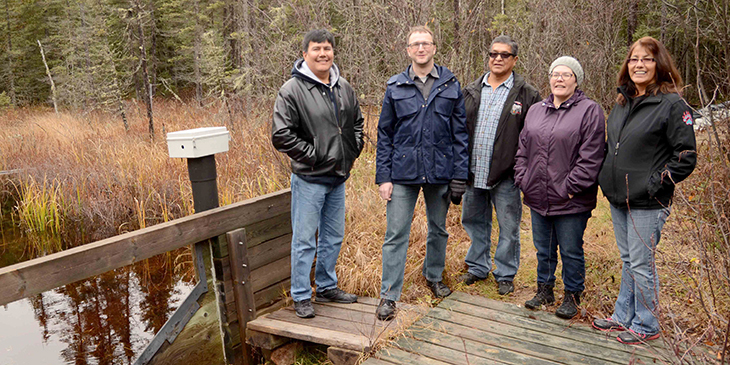 With the generous support of Tides Canada, IISD-ELA has been building relationships with local First Nations communities and has been working to understand their concerns and needs. We hope that activities with Treaty 3 communities moving forward will include collaboration and communication in areas of common interest, including the environmental impacts of resource development, education, youth engagement and traditional ecological knowledge. In 2015, IISD-ELA was pleased to hold the first annual Community Fall Feast at the lakes. Honoured by drummers from Whitefish Bay, the day included a tour of the facility and a discussion about observations of climate change in the Treaty 3 Area by both Elders and IISD-ELA scientists. The objectives of the event were to open up the discussion between First Nations Elders and IISD-ELA scientists; engage youth in science, the natural environment and a changing climate; provide an opportunity for a transfer of knowledge from Elders to youth; and celebrate the work of the past year and the relationships that are being built. IISD-ELA plans to continue this tradition with a fall feast hosted annually. 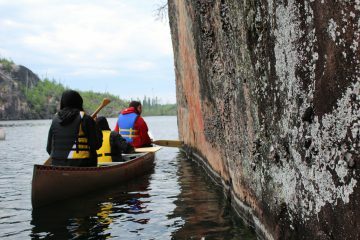 In June 2015, Elders and students from Naotkamegwanning (Whitefish Bay) First Nation embarked on a three-day canoe trip to visit sacred sites near IISD-ELA, located within Treaty 3 land in northwestern Ontario. These sites, many of which include rock paintings as much as 5,000 years old, had not been visited by community members in more than 50 years. The Elders reanimated sites at three different lakes through ceremonies, while also teaching the youth about traditional ways. IISD-ELA and the University of Winnipeg worked with the community members to document the trip, producing this short documentary.